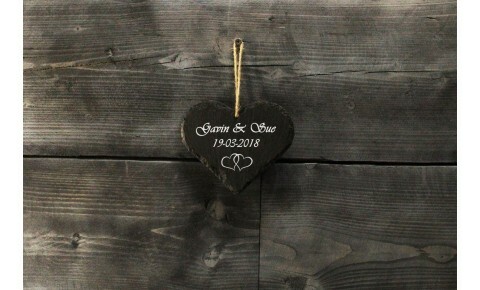 An 6mm thick, rustic Welsh slate memo board, hand cut into the shape of a heart.This item comes read..
A 6mm thick handcrafted Welsh slate medium love heart. 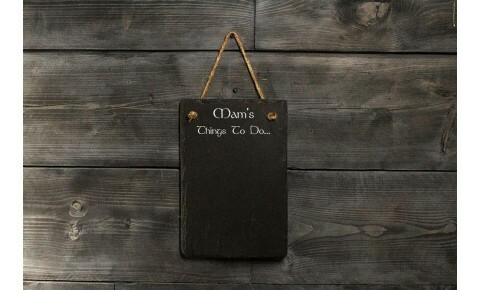 This item can be laser engraved with any text..
A 6mm thick handcrafted Welsh Slate hanging sign. 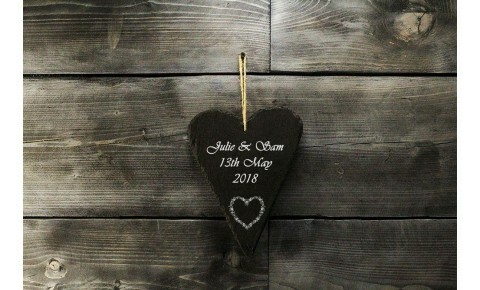 This item can be engraved with any text or motif.A..
A 6mm thick handcrafted Welsh slate large love heart. 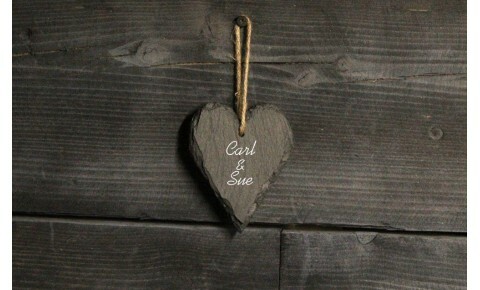 This item can be laser engraved with any text ..
A 6mm thick handcrafted Welsh slate small love heart. 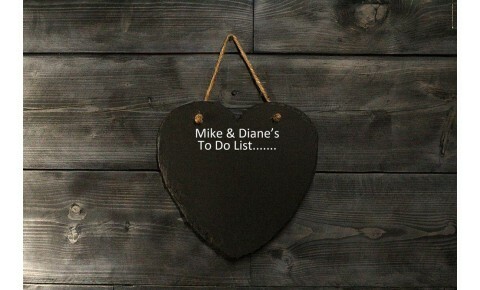 This item can be laser engraved with any text ..
A 6mm thick, rustic Welsh slate memo board. 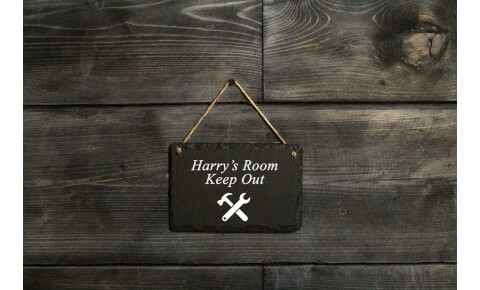 This item comes ready to hang with thick jute rope and p..